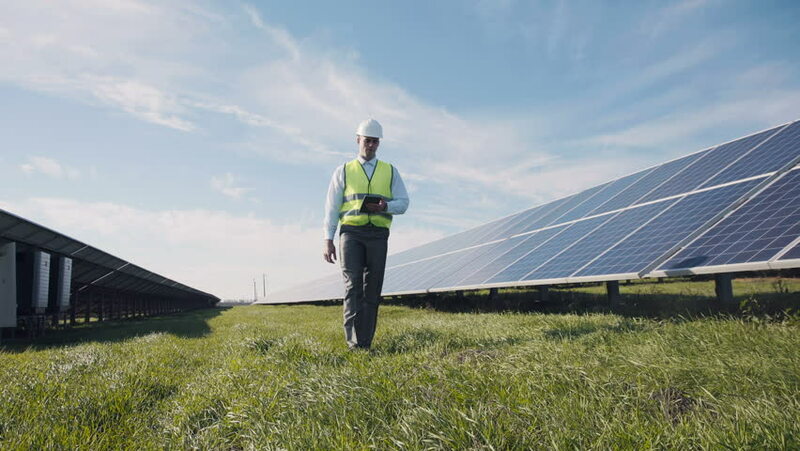 Professional worker walking along solar power station and using tablet. 4k00:21brunette lady wearing blue denim slop is busy. female engineer works at solar electric generating station.